In the years following World War I, Los Angeles was a city awakening to its darker side, transforming itself from a backwater town to a gleaming metropolis and city of the future. But along the way a tarnished patina began to coat its ever-more glamorous fa ade. As thousands flocked to the city with their dreams and desires, so too came get-rich-quick schemes, phony religions, organized crime, and corruption. 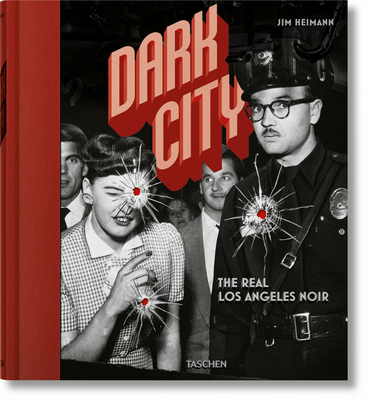 A visual history like no other, Dark City brings together images from archives, museums, newspaper photo morgues, private collections, and the author's extensive image library to reveal the true grit, grime, and sheer horror stories of Los Angeles from the 1920s to 1950s. In large format, we roam through the back alleys, gin joints, tattoo parlors, gambling dens, nightclubs, and the most brutal crime scenes, to uncover a city crawling with murder and mayhem. From Sunset Boulevard to a jazz-saturated Central Avenue, tabloid headlines chronicle the most famous celebrities and infamous crimes in a hopped-up city that provided inspiration for journalists, pulp fiction scribes, and filmland script writers in their creation of the noir genre. With rare vintage magazine reprints from the crime tabloids of the time, this is a uniquely evocative visual history through which the crime, crooks, crazies, and mean streets of the City of Angels are transformed from myth to reality.